I always liked Iris Nobile by Acqua di Parma in its EDT concentration from 2004, but was never truly in love with it, probably because it doesn't last very well on my skin. But no one can deny the elegant and understated beauty of the original Francoise Caron and Francis Kurkdjian creation. It's a very pretty perfume, and I should have directed my attention towards Iris Nobile EDP long ago when visiting the Acqua di Parma counter (instead of making faces at Magnolia Nobile). The very first thing the husband said when he sniffed Iris Nobile was that it smelled surprisingly dirty. It does, and of course, we both mean it in the best possible way. Animalic chypres of yore had that fur coat vibe going for them: an intimate warmth, perhaps the kind Edmund felt when the White Witch wrapped him in her furs. However, this is a modern fragrance and the fuzzy musky magic created from amberette seeds is kept to the minimum: this is an Acqua di Parma fragrance, tasteful and still crisp that was composed to be elegant, and-- you know-- sell. The iris is the true star here. 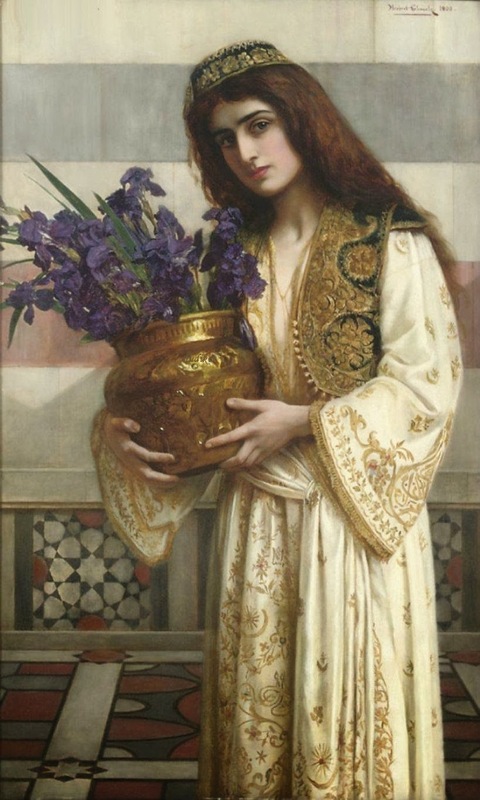 While orris notes in perfumery are not related to the flower part of the plant, Iris Nobile is decidedly floral. There's the familiar pairing of violet and iris that creates this romantic effect. While there is a hint of the familiar iris dryness, the perfume is actually quite lush and ornate, like a hand-embroidered garment. Coupled with the warmth and cashmere-like depth of the dry-down it's one of those smell like a million dollars perfumes that are both highly satisfying to the wearer while keeping up appearances at the office or the holiday table. Iris Nobile eau de parfum is not a formal fragrance by any means, but it's proper, friendly, and incredibly well-dressed. Notes: bergamot, mandarin, anise, iris, ylang-ylang, patchouli, oak moss, vanilla, amberette seed. Acqua di Parma- Iris Nobile (eau de parfum) is available from Barneys, Bergdorf Goodman, and select department stores as well as Sephora ($116, 50ml). The product for this review was sent by PR. I won a 1.7oz bottle of this today, with a very messed up label, and no cap, for $16.50 and $4.95 shipping. Xmas in May!